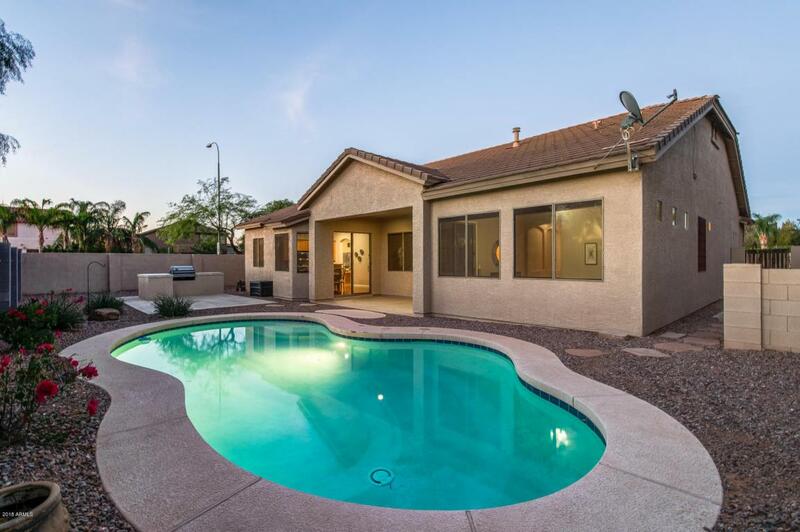 Beautifully updated home in the Sun River community of Chandler. 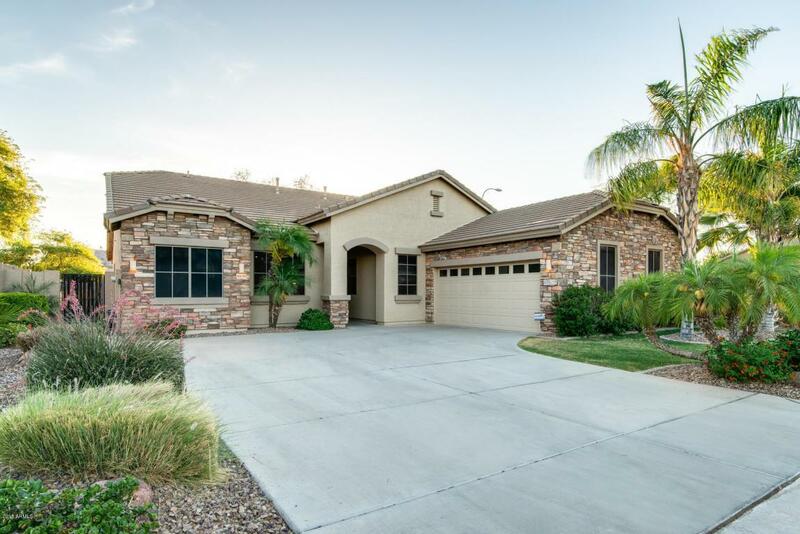 This 4- bed/2-bath home features exceptional details including real wood flooring, travertine tile, and stacked stone accents. 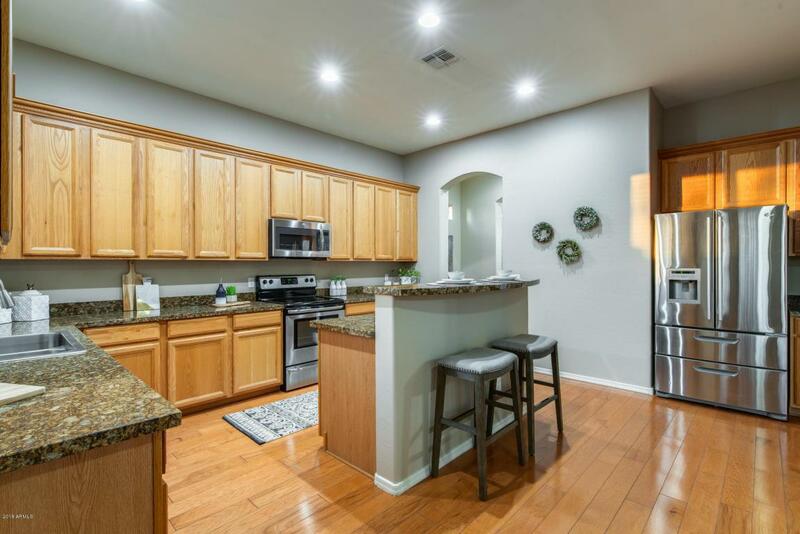 The spacious kitchen shines with stainless appliances and granite counter-tops and overlooks a large great room. Entertain guests in the great room while sitting next to your cozy gas fireplace. 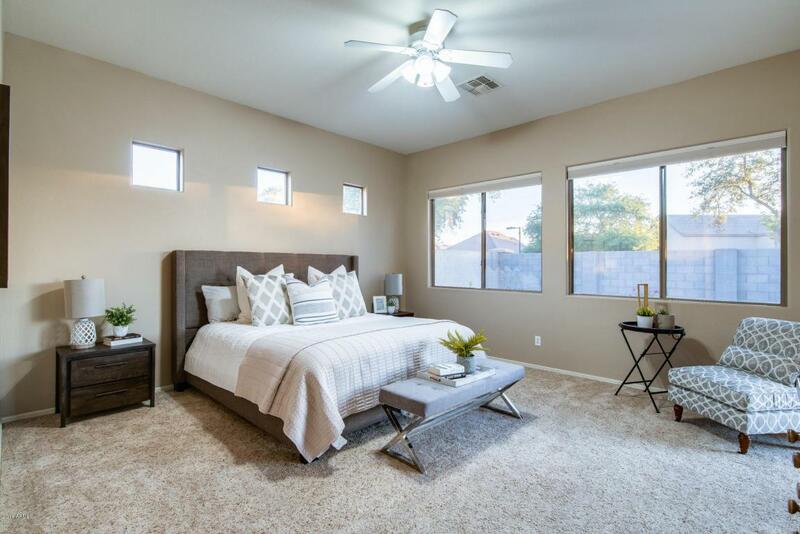 Relax in the master retreat that features a walk-in closet and private exit to the extended back patio! Master bath has dual sinks and separate tub and shower. Enjoy outdoor entertaining on the covered patio, or gather around the built-in BBQ. Make the most out of those hot summer days with a refreshing dip in your sparkling blue pool. Home backs to a quiet common area in a large master-planned community.